Skaggs (ankle) threw a bullpen session Saturday with no apparent issues, Jeff Fletcher of The Orange County Register reports. Skaggs was placed on the injured list last Saturday with an ankle sprain but was able to resume working off a mound fairly quickly. 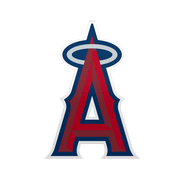 The 27-year-old is eligible to be activated off the injured list Tuesday, but the Angels rotation plans for the upcoming series against the Yankees remain unclear. Skaggs (ankle) is scheduled to throw off a mound over the weekend, J.P. Hoornstra of the Los Angeles Daily News reports. This is positive news for Skaggs, who appears to be closing in on the next step in his rehab. He played long toss Wednesday and managed to do so without suffering any setbacks. Skaggs will likely have to pitch to live hitters before being cleared for a return. If everything goes well during Wednesday's session, Skaggs will be cleared to resume mound work in the coming days. The southpaw has been sidelined with a sprained left ankle but remains hopeful he'll be able to return when first eligible (April 23). Skaggs (ankle) is scheduled to throw a bullpen session later this week, Rhett Bollinger of MLB.com reports. Skaggs had no issues with his sprained left ankle while playing catch Monday, clearing the way for his return to mound work. The Angels remain hopeful the 27-year-old will be able to return after the minimum 10 days on the injured list. 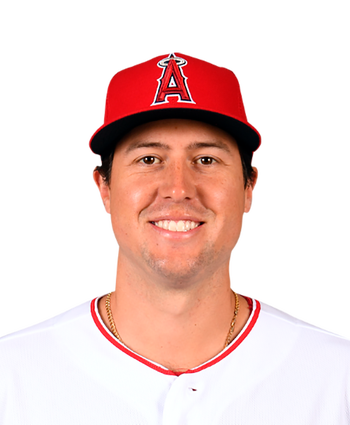 Skaggs (ankle) is throwing Monday and hopes to return from the injured list after the minimum 10 days, Jeff Fletcher of The Orange County Register reports. Skaggs sprained his ankle while fielding a bunt Friday. The fact that he hasn't been shut down from throwing is certainly encouraging, and he seems to have a good shot to miss just one start. Jaime Barria was recalled to take his place on the roster and will likely make a spot start in his place.